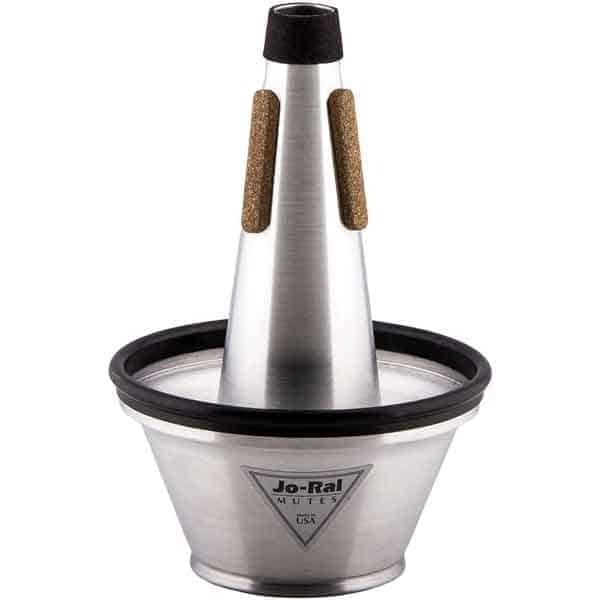 Specifically designed to provide exceptional versatility in artistic expression, the Jo-Ral TPT-3 Tri-Tone Trumpet Cup Mute delivers three distinctive sounds from a single mute—particularly sought after by solo and jazz musicians. 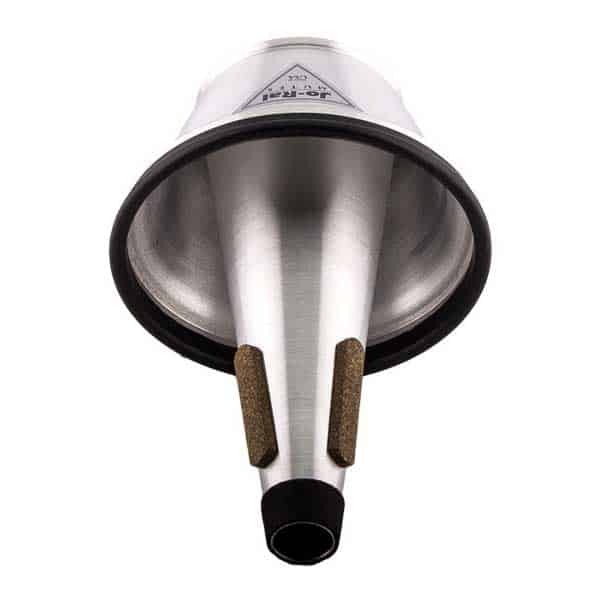 This all-aluminum mute also includes two felt rings that can be inserted to create even more variation. 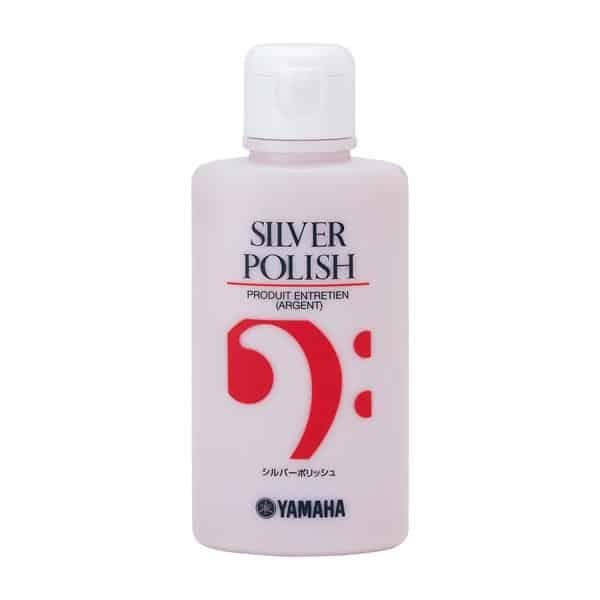 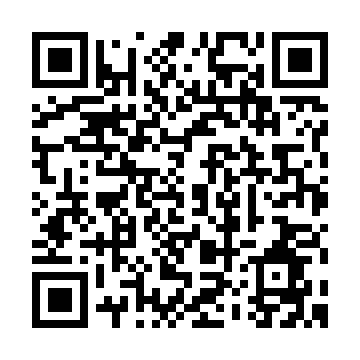 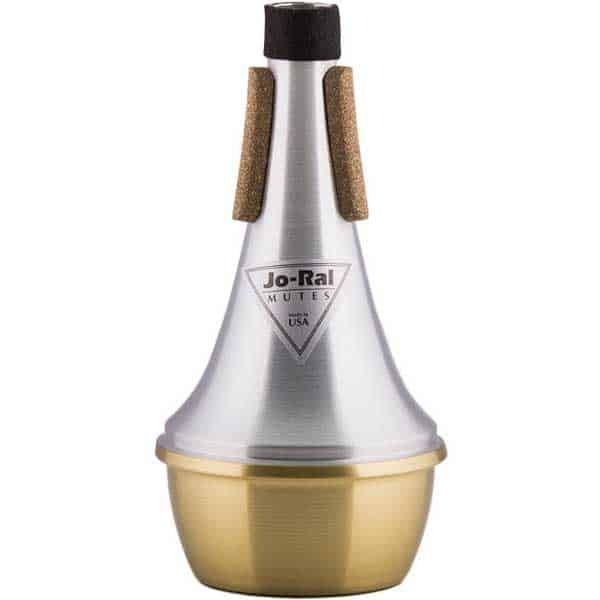 Used with one ring, you’ll experience a softer, less brilliant sound than the mute alone. 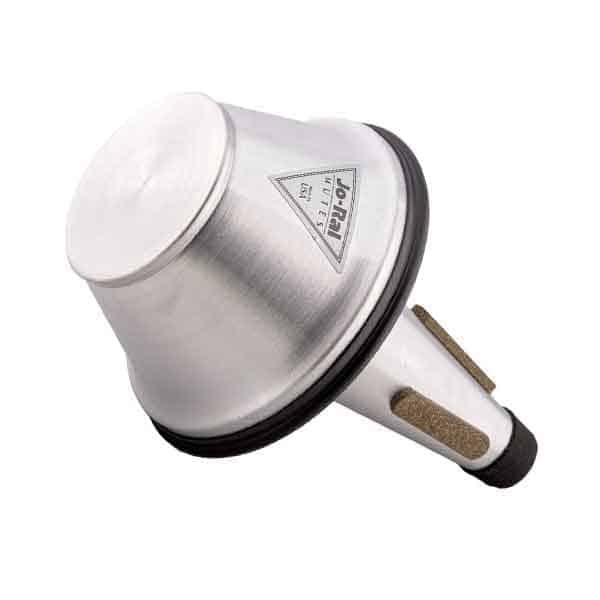 With both rings inserted, the sound is mellowed even further. 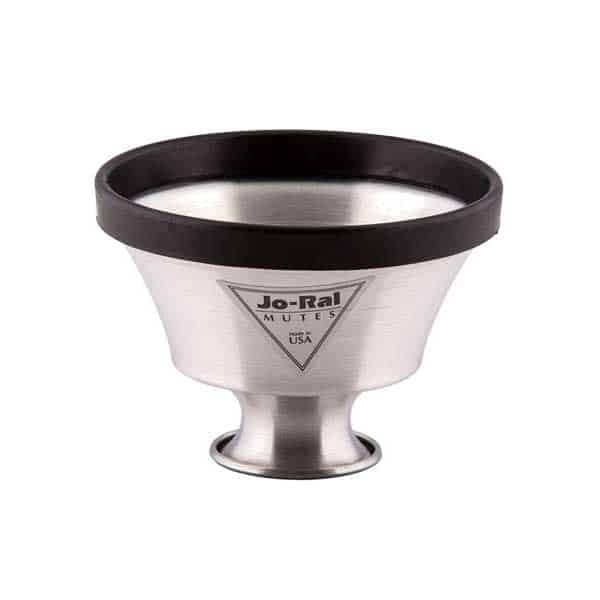 Jo-Ral TPT-3 Tri-Tone Trumpet Cup Mute are made of spun aluminum, and have been tested to perform evenly in all registers—creating an exciting tonal quality that results in near-perfect intonation. 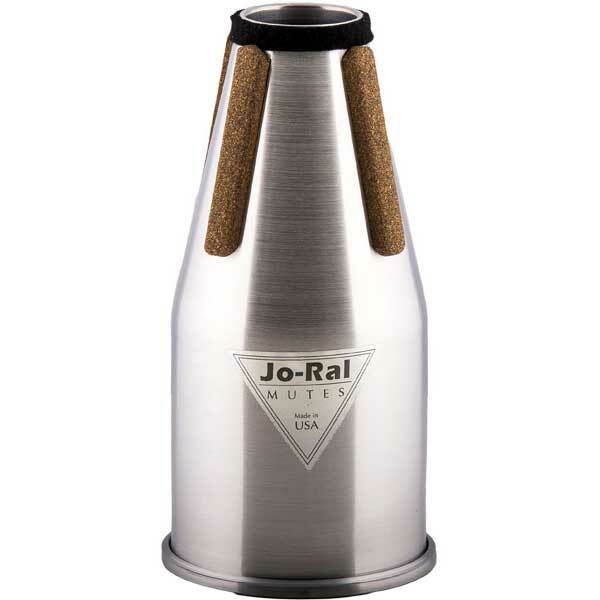 Jo-Ral mutes also feature neoprene-enhanced composite cork pads that provide extra durability. 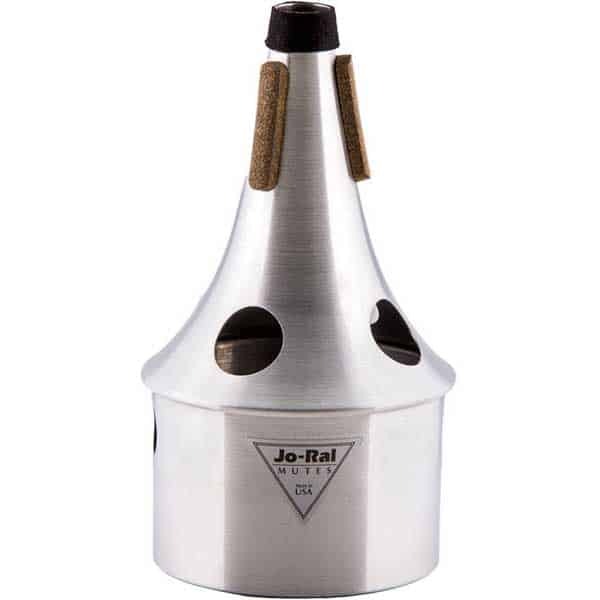 The result is a more pliable cork that grips well and doesn’t dry out, become brittle or break off—so it lasts longer while easily accommodating fine adjustments for a perfect fit.